This sprawling retail park is located roughly one mile east of Chester and has seen significant changes in recent years. The Cineworld 6-screen cinema and the Tenpin bowling alley here closed at the end of 2013 to make way for a new Asda. The supermarket opened its doors in November 2014. Greyhound Retail Park is also home to the first John Lewis At Home store in North West England. The 38,000 square foot store opened towards the end of 2011. 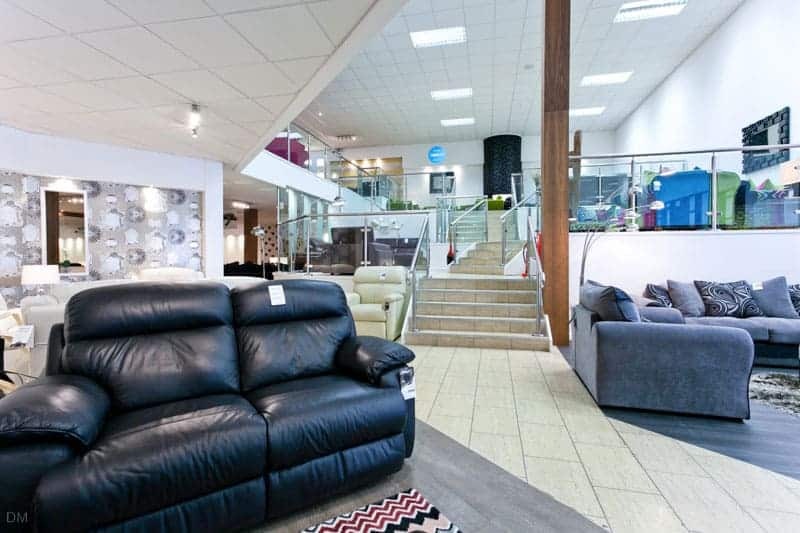 It offers a wide range of products including furniture, lighting, curtains, bed linen, cushions, picture frames, kitchenware, china, cutlery, electrical appliances, audio and TV equipment, cameras, and computers. Stores are located in several sections running along Greyhound Park Road. Each area has its own car park. There are two blocks of units close to the junction of Sealand Road and Greyhound Park Road. The tenants here include Next, Boots, Home Bargains, SCS, Oak Furniture Land, Carpetright, Argos, Dunelm, Subway, and KFC. Head north along Greyhound Park Road and you’ll see the John Lewis store on your left. On the right there’s a Frankie & Benny’s restaurant plus another row of units. Stores here include Alan Ward (furniture), Halfords, Dreams, Pets at Home, and Wren. Continue to the northern end of the park for Asda, Sofology (formerly Sofaworks and CSL), Listers Interiors, and DFS. Opening hours vary by store but all are open seven days a week. Opening times for John Lewis At Home are Monday to Saturday 9 am to 7 pm, and Sunday 11 am to 5 pm. 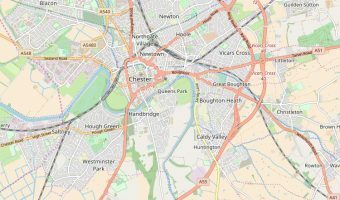 The Greyhound Retail Park is located on Greyhound Park Road, off Sealand Road (A548) and approximately one mile from Chester city centre. Drivers with satellite navigation systems can use the postcode CH1 4QG. The park is next to the Chester Retail Park and the Deva Retail Park. Details were last checked in September 2016. Things change so verify the information given with individual store websites before travelling. Map showing location of Greyhound Retail Park. Retail park on the outskirts of Chester.